Internet name Naver and home appliance maker LG Electronics became latest from the Korean turf to team up for a better chance in the global heated race in robotics and computer intelligence-powered automation through software-hardware collaborations. 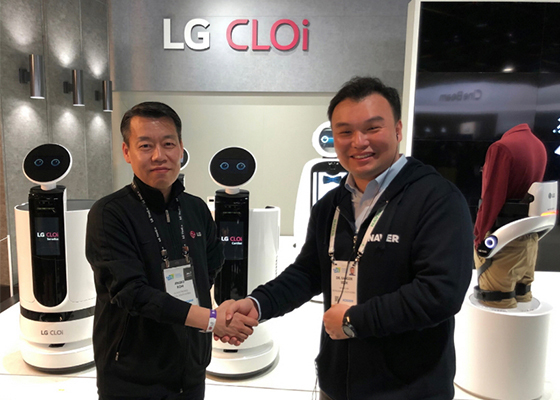 Naver said on Friday its integrated location and mobility platform “xDM” (eXtended Definition & Dimension Map), developed by its future technology R&D subsidiary Naver Labs Corp., will be applied to LG’s CLOi Guide Robot under the partnership signed between the two companies during CES 2019 in Las Vegas in the United States. The scope of application can be expanded in the future, according to the companies. The partnership between Naver Labs and LG Electronics was proposed during the CES 2019 trade show in Las Vegas. Naver is presenting numerous future technologies, including indoor autonomous mapping robot M1 and 3D precision mapping robot Hybrid HD Map, at CES this year for the first time. Naver’s xDM first revealed at DEVIEW 2018, the largest developer conference in Korea, combines the Naver Labs portfolio of robot and AI-based technologies such as high definition (HD) mapping, localization and navigation with high-precision spatial data. Its key features are self-updating 3D/HD mapping, precise indoor and outdoor positioning and context-aware location information based on real-time spatial data. It supports the development of future location-based services such as augmented reality (AR) walking navigation and autonomous mobility services that include autonomous vehicles, service robots and advanced driver-assistance systems, Naver said in a statement. 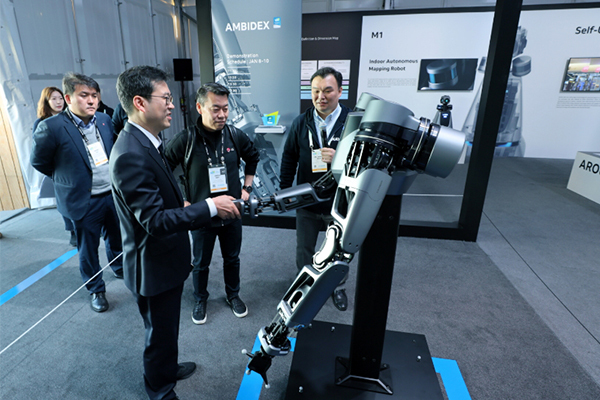 The partnership aims at creating synergy by merging the xDM platform with LG’s Guide Robot AIRSTAR in part because xDM can realize precise indoor autonomous driving using low-cost sensors and low processing power, allowing LG Electronics to enhance the operation quality of its robot. The latest partnership with Naver comes at a time when LG Electronics is fostering the robot business as one of its future growth engines. It has been seeking to enhance its robotic technology development capacity through investment and partnerships. While pursing independent technology development, the company has been enhancing external partnerships such as with robot developers, startups, universities and research institutes to groom robotics as a new mainstay.